The MSK MathCounts team won the state tournament this weekend. We had three students place in the top ten. 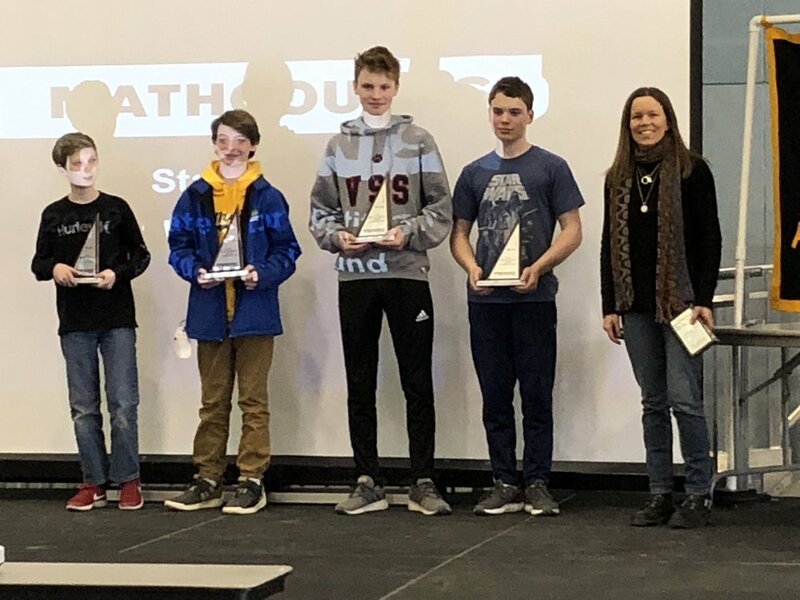 Two MSK students, Noah Manning (grade 8) and Eamon McGlashan (8), will be representing Maine at the national MathCounts competition in Orlando in May. The other MSK students who competed are James DiGiovanni (8), Trevor Williams (7), Isaac Kahn (7), and David Rush (7).